Any injury you sustain while at work may entitle you to Iowa workers' compensation benefits. 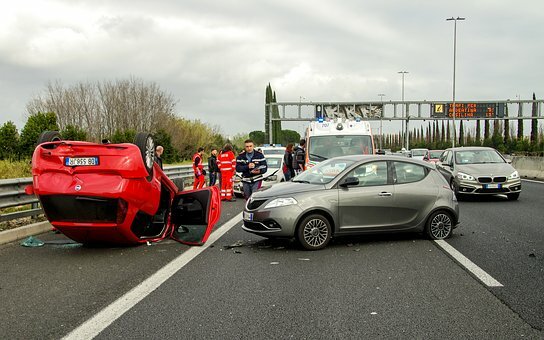 Yet, you may be wondering whether you will be able to receive compensation if you are injured in a car accident while on the job. In Iowa, workers’ compensation covers injuries and fatalities that occur at the workplace, regardless of who was at fault. This includes accidents that happen on the premises of the workplace, as well as outside of the workplace – provided that the employee was conducting company business at the time of the injury. Generally, employers are required to administer benefits for injuries that arise out of, and in the course of, employment. The employer asked the employee to run an errand. The employee was traveling to an employer-sponsored event. The nature of the employment requires frequent travel by motor vehicle. Workers’ compensation will pay for all necessary medical expenses and lost wages while the employee is unable to work. When an injury results in more than three days of missed work, an employee may be eligible for disability benefits. These can include temporary or permanent disability and healing period benefits. When workplace injury results in a fatality, death benefits may be paid to the spouse or children of the deceased. If you drive while on-the-job, it’s important to understand how Iowa’s Workers’ Compensation works in relation to auto insurance. Auto insurance operates on an at-fault system. If you were not liable for the car accident, you have the right to pursue civil action against the at-fault party. Like workers’ compensation, you may be able to recover your medical expenses, lost wages, and permanent disability. Unlike a workers’ comp claim, a personal injury lawsuit can include compensation for pain and suffering and emotional trauma. The first thing you should do after a car accident is to seek medical attention. Let the treating physician know that your injuries are work-related. You have up to 90 days to inform your employer that you were injured while on-the-job. Failure to disclose this information to your employer could result in a denial of workers’ compensation benefits. The employer has four days after being made aware of the accident to file a First Report of Injury with the Workers’ Compensation Commissioner. Whether you decide to pursue a workers’ comp claim or a personal injury lawsuit to compensate you for your employment-related car accident, the law firm of Walker, Billingsley & Bair can help. We will guide you through the claim process and assist with weighing the advantages and disadvantages to each approach. If you elect to file a workers’ compensation claim, our skilled Des Moines workers’ compensation attorneys will fight on your behalf even if your claim is denied. Contact us today online or call us at 641-792-3595 and ask for Corey or Erik. To receive a free book entitled "Iowa Workers' Compensation - An Insider's Guide to Work Injuries" which describes Iowa work injuries, and includes the "7 Mistakes To Avoid If You Are Hurt At Work" Call Now 1-800-707-2552 (ext. 511) (24 Hour Recorded Message) or click on the link above. Iowa attorney Corey J. L. Walker has helped hundreds of injured workers recover compensation for their work injuries and he practices primarily in workers' compensation law. He offers his book for free because he has seen too many Iowans make mistakes which cost them thousands of dollars. Iowans hurt at work are beginning to realize that the insurance company for their employer is not there to help them and that they should learn their rights and responsibilities.